You can’t come to Vermont without getting caught up in the localvore movement in some way. Vermonters love local food of all types. So, after a long winter of beets and potatoes from the year before, ramps (wild leeks) and fiddleheads awaken our collective taste buds, a welcoming reminder of the months to come. Well, we were surprised with fresh picked ramps at the co-op this afternoon. For those of you who haven’t had a wild leek, also known as a ramp, these earthy greens are the perfect natural blend of onion and garlic flavors. 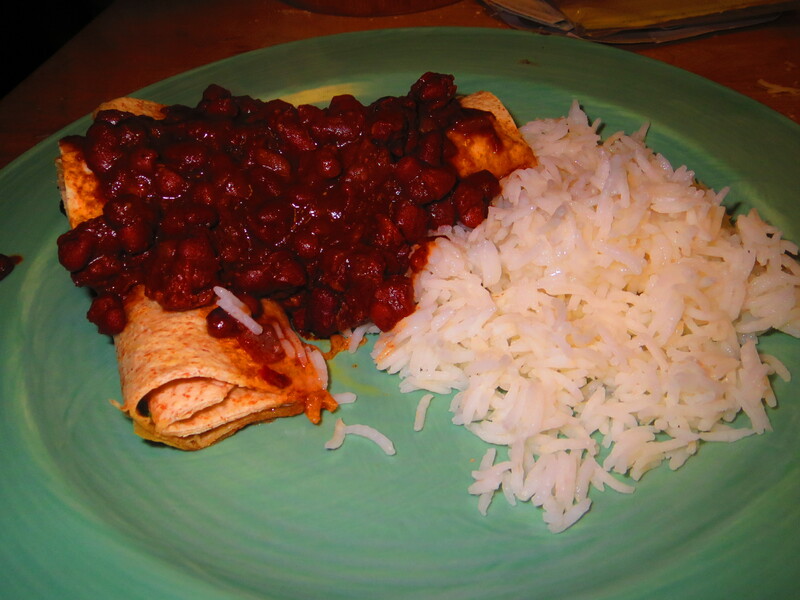 Tonight, we decided to introduce Spring into our meals by making Ramp and Cheese Enchiladas. These were easy to put together in less than 20 minutes. I took one bunch of ramps, and using both the bulbs and greens, chopped and sauteed them. Then, I rolled two tablespoons of sauteed ramps and three tablespoons of Cabot sharp cheddar cheese in a whole wheat tortilla. These were covered in a tomato black bean sauce and baked in a 400 degree oven for 15 minutes. This photo was taken on April 17, 2013. I see these mountains from route 15 on my drive home from work through Danville, VT every day. The White Mountains are located in New Hampshire just over the border from Vermont. Last weekend, last minute, we decided to attend the Stout Festival at the Armsby Abbey in Worcester, Massachusetts. Although we have enjoyed New England and the Boston area for four years now, we never actually spent any time in Worcester. It seemed like the perfect opportunity to check out both a city we haven’t enjoyed yet and one of the top rated beer bars in the world. And, yes, I did say world. From Vermont, we usually take 89 south most of the way through Vermont and Massachusetts until we hit 93 south through Boston. This brings us through Lowell, MA which we hadn’t stopped at for a few years. Lowell is an old manufacturing center, mostly within the business of textiles. It is now, surprisingly, the four largest city in the state. The town is no longer centered on textile mills when it comes to the market, but the mills are still a major part of the town’s geography. 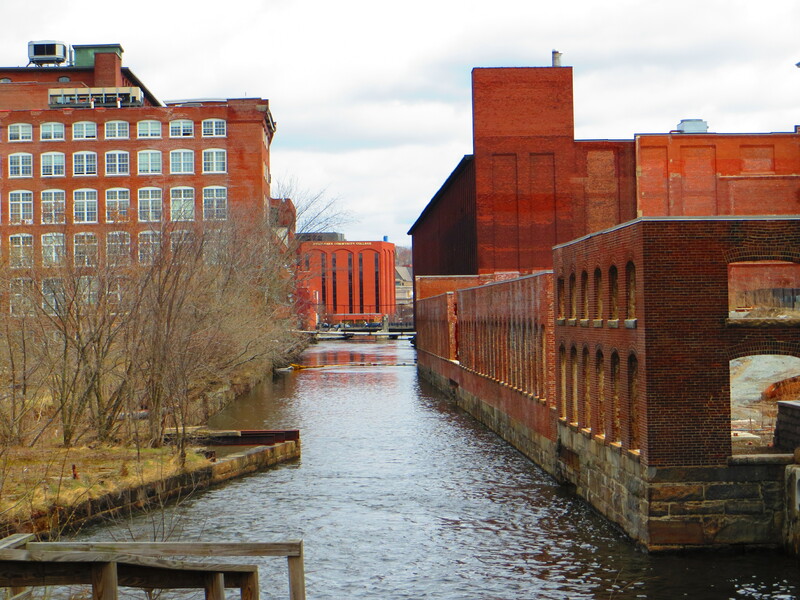 In fact, much of the mill district has been restored, even becoming part of the Lowell National Historical Park. 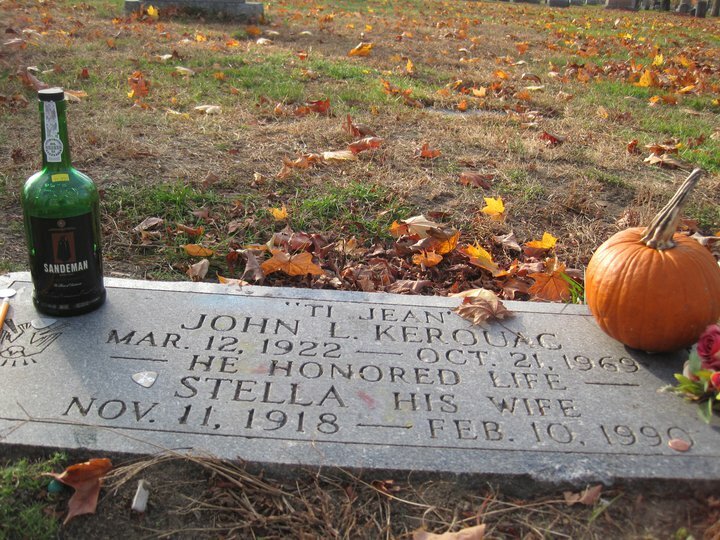 Lowell is also the birthplace and burial place of Jack Kerouac, a well known novelist and poet of the beat generation. We stopped for just a few hours, long enough to walk up and down the city streets, take in the old mill district, have some amazing lunch, and stop by Kerouac’s grave for the second time. -History: You can learn a lot and get a better feel for the city if you take a moment to read the historical signs and outposts set up along the river, streets, and historical mill area. 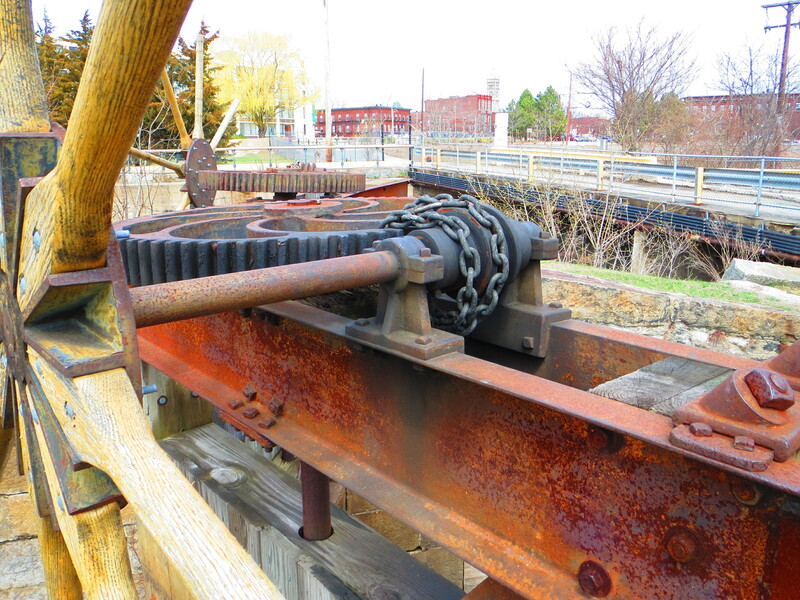 Having the mill as a backdrop to the city really allows you to envision it as it was in the 1800 and 1900’s. –Jack Kerouac sites: Lowell is home to many important places in Jack’s early and later life. If you do some research before coming, you could stop by his childhood home, bars he frequented, parks he wrote in, and of course, where he is laid to rest. 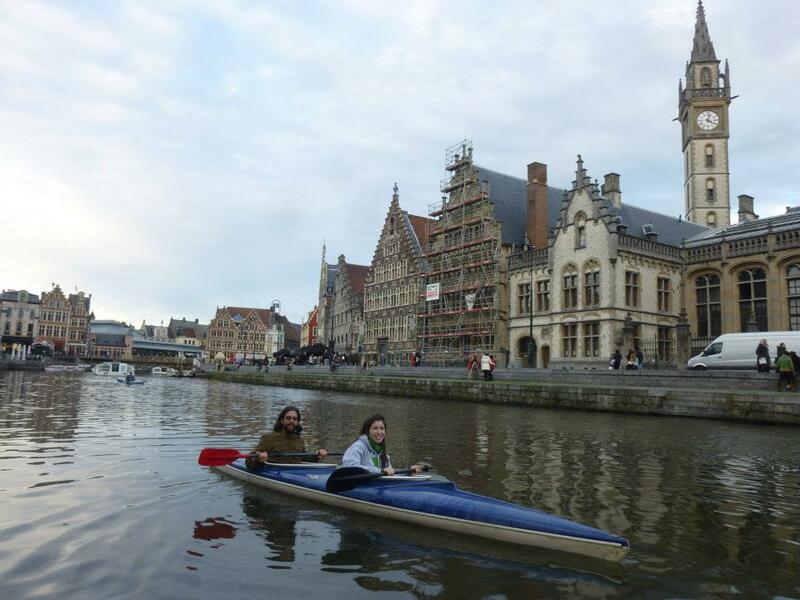 -Culture and town life: When I hear of Lowell, I think of the average size Massachusetts town. However, Lowell is a city. Lowell is also a cultural hub, calling its home to many different ethnicities and cultures, evident by the different types of stores, churches, and clubs that call it home. Before we left Lowell, we stopped by for music and lunch at Life Alive, located on Middle Street. This café calls a few different towns in Massachusetts home including Cambridge and Salem also. There food is vegan and vegetarian, yet well known and delicious to all types of foodies. 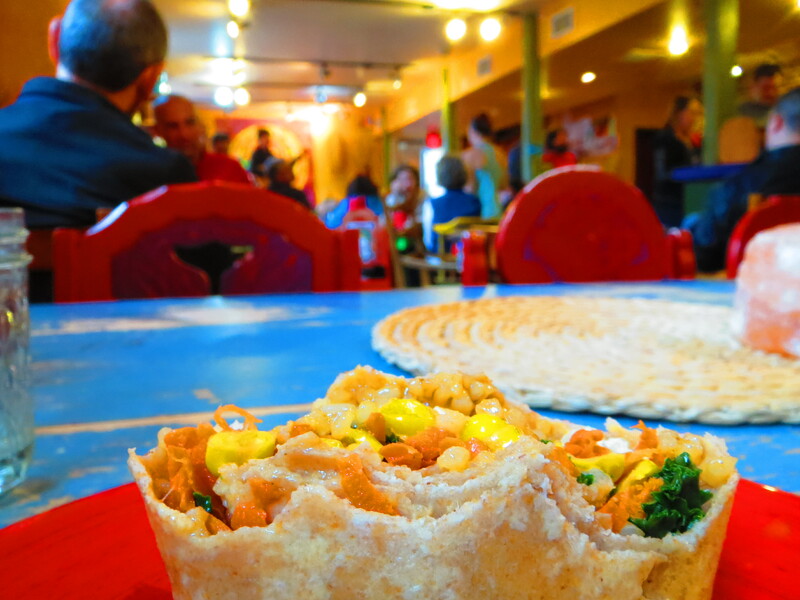 They infuse so much taste into every wrap, salad, and rice bowl, that it is hard to miss the meat. I heard this over and over from each meat eating foodie that stopped by. The atmosphere is also a lot of fun. feet below me. It’s funny how sweaty you can get over the idea of freezing to death. It’s in that moment, though, that I realize I’m more than halfway there. Soon, breakfast will be served and so will preparations for landing. 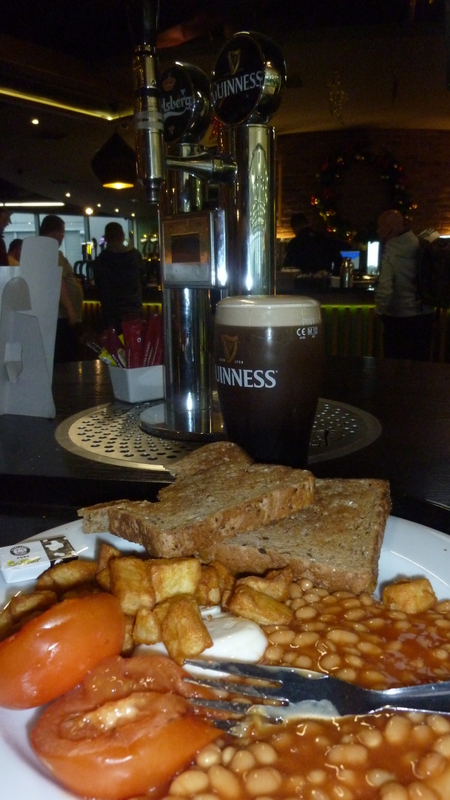 I’m able to trick myself into calming down, and before I know it, I’ve made my way to my favorite little spot in the Dublin airport where I can enjoy a true Irish breakfast: grilled tomato, vegetarian baked beans, over easy eggs, and of course a Guinness. Ryanair, and an easy stopover when it comes to transportation, language, food, and drink. On our way into Europe we only have time for breakfast here, but on our way out we’ll get to spend the night. We enjoy our breakfast before boarding the plane en route to see an old friend: Brussels. Boy have I been busy with work and school since our last vacation! I can’t believe it has been four months already. I would like to get some of my trip written down here before those memories begin to fade. So begins the “Hopping the Pond” series.